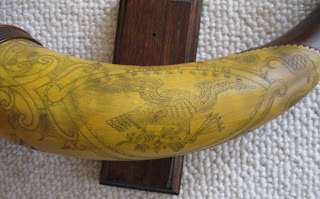 Fakes: Easily and readily produced from " true Antique" plain powder horn which are plentiful. Beware the "Dremel" "What man made can be remade by man! Dates: Not necessarily a reliable source of age! *** This is amongst the most challenging area of Kentucky Rifle Fine Art. 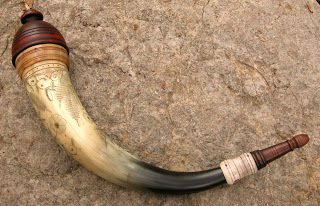 Identifying an original horn from a contemprary reproduction ( Copy or imitation is the highest of complimments!!) 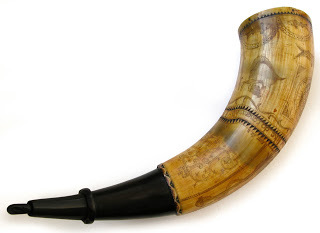 or a fake ( An old plain horn that has been carved or scrimmed for the explicit purpose to deceive or misrepresent it age...Horns often sell for Thousands of Dollars). The skill of the most talented Contemporary Horners (artisan) can not be overstated and their integrity is usually exemplified by some form of identification on thier art work. 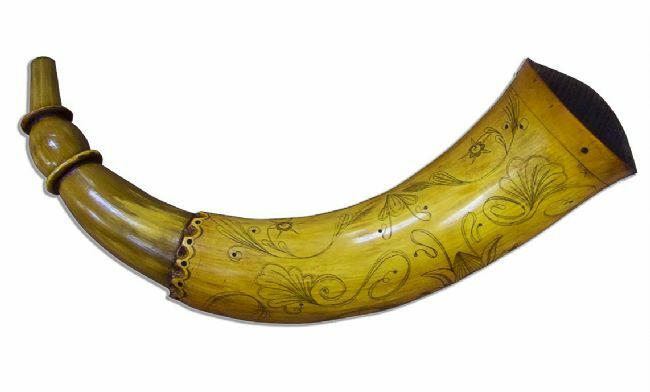 An exercise for the new student/collector to demonstrate the challenge: A Google search for powder horns of any type will produce a response titled "Images." Hundreds of images will show up. 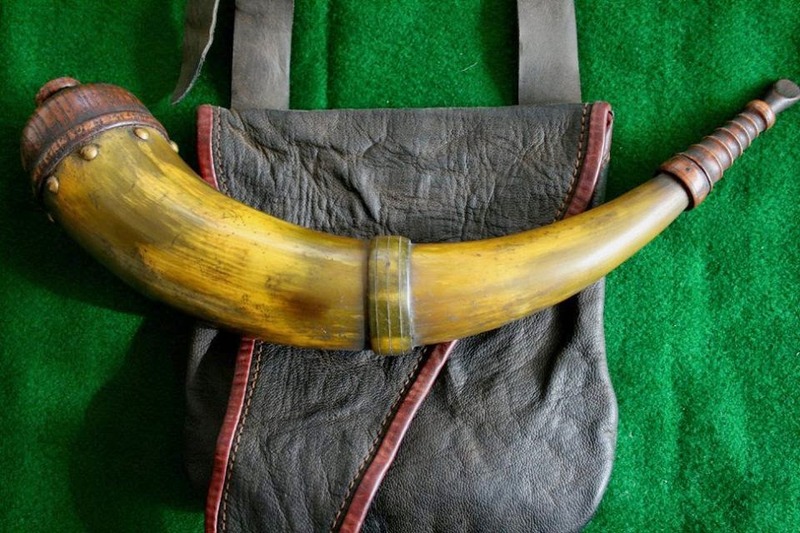 If you click on any image, its source will be revealed and the picture often enlarges to a see signicant detail so that the horn can be studied.One can easily see that those exhibited on "Contemporary Makers Blog" are extraordinary but never the less contemporary. 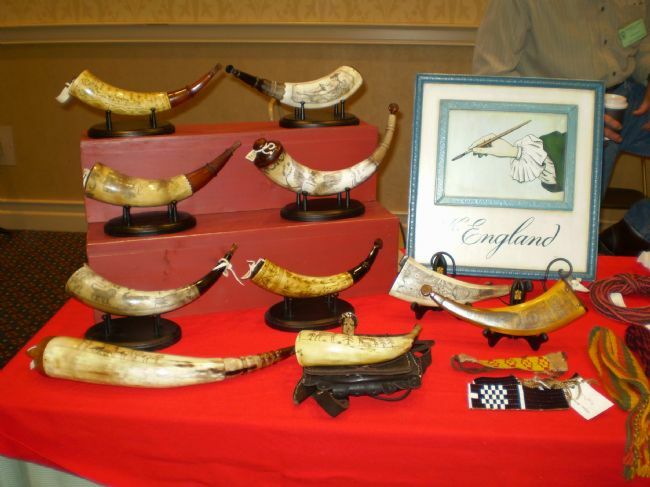 Compare those to ones from Museum sites (these as well could be unknowingly not original).Dealers and Auction houses often promote their horns for sale unknowingly, unintentinally as antique. BUYER BEWARE!!! * Contemporary Horns often are and/or skillfully "Aged"